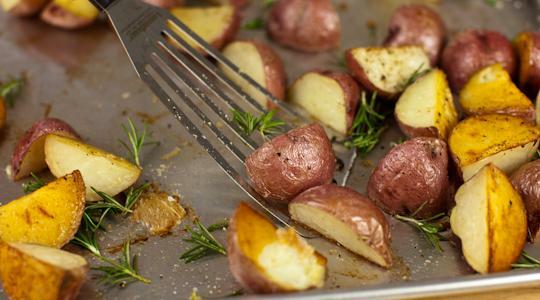 Heat the oven (with oven rack in the middle) to 425°F. 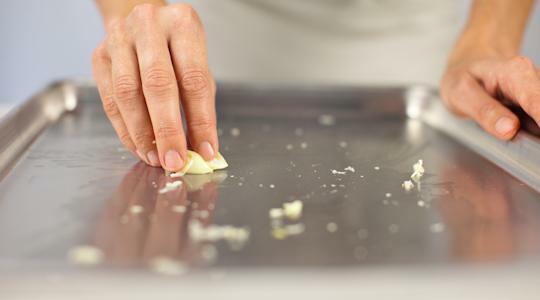 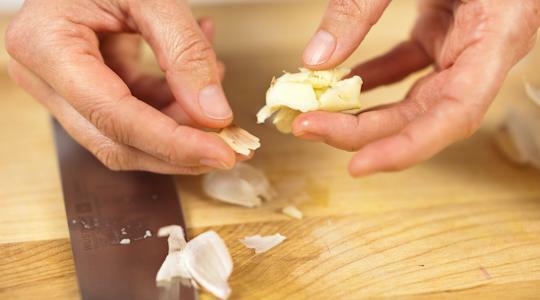 Rub a rimmed sheet pan with the smashed garlic then discard. 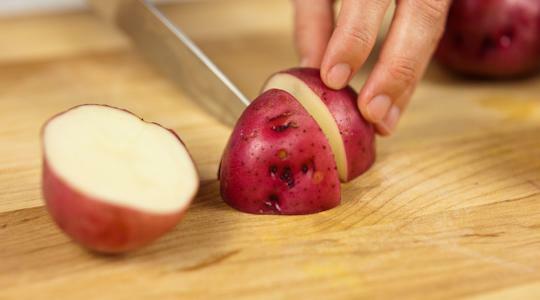 Quarter the potatoes. 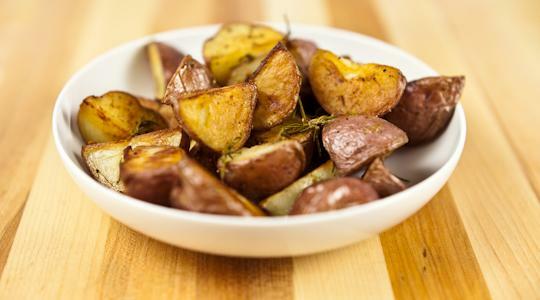 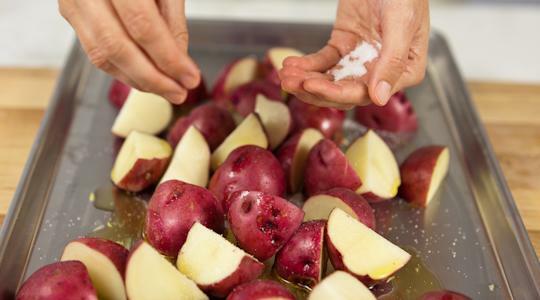 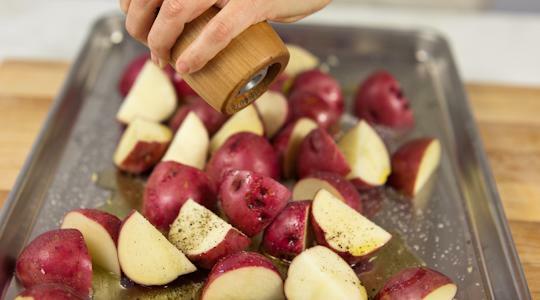 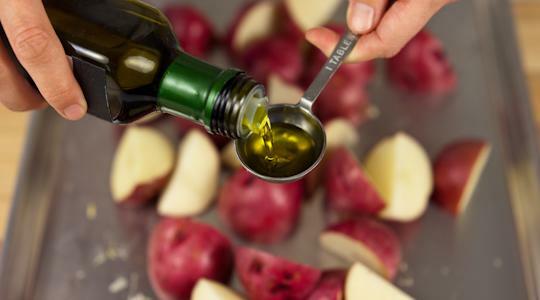 On the sheet pan, toss together the potatoes, oil, salt and pepper (12 turns on pepper mill) and arrange cut-side down. 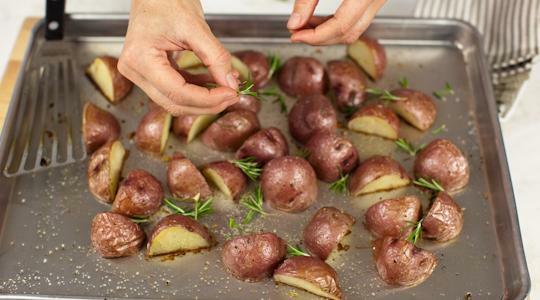 Roast for 25 to 30 minutes until they are golden brown on their undersides and release easily from the pan. 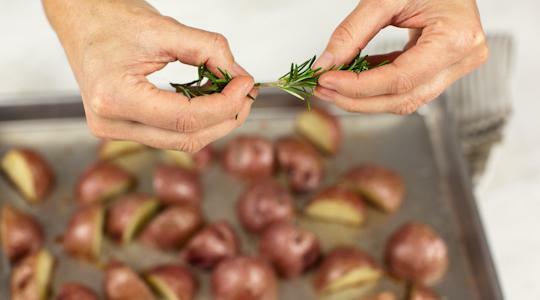 Sprinkle with the rosemary. 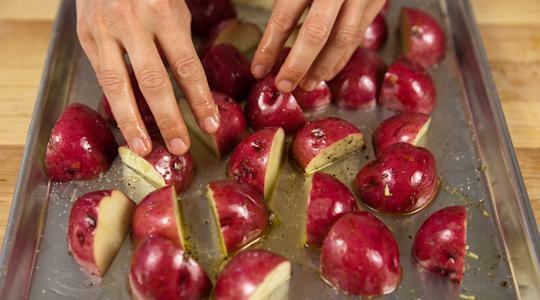 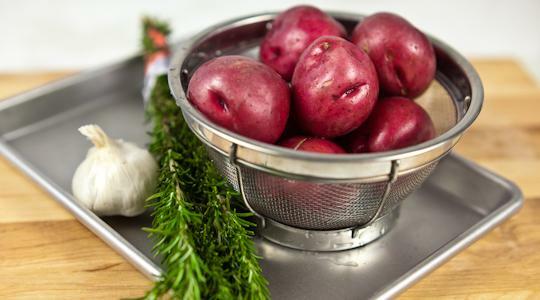 Using a spatula, turn the potatoes and continue to roast until tender, 10 to 15 minutes more.